After Oil screened at the 28th Annual Dusty Film and Animation Festival, where showwriter Shailyn Cotten walked away with the Award for Outstanding Achievement in Screenwriting! The pilot for After Oil went live on YouTube, and now has been viewed over 15,000 times! Over 200 people have subscribed to the channel to keep up to date with the latest news about the show. 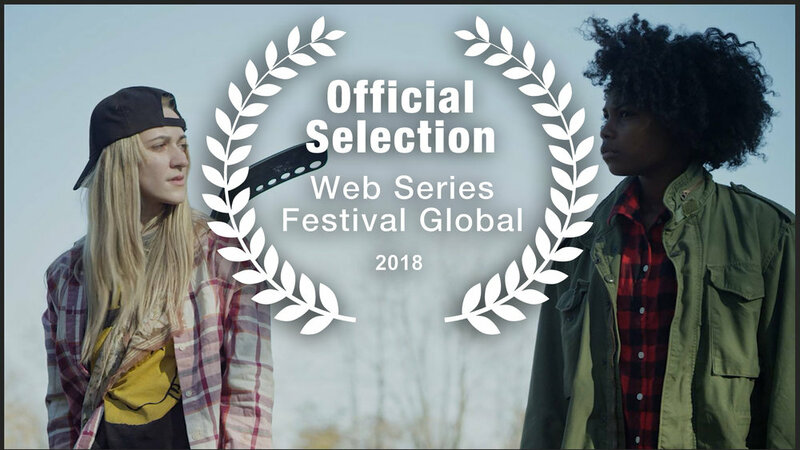 Last fall, After Oil was named an OFFICIAL SELECTION at Web Series Festival Global! WE WENT TO VEGAS! The After Oil crew partied hard(ly) with all the lovely queer women from ClexaCon Film Festival and got to see other some other upcoming LGBTQ+ webseries! And now it's time to hit up Los Angeles! After Oil will be repping the East Coast in L.A. at Dances With Films this June 9th at the TCL Chinese Theatres at 7:45pm. We hope to see you there! We simply COULD NOT have done this without your support. And that's not hyperbole. This show was a fangirl dream that budded into micro-budget reality. Without the love of people like you, wanting to see queer, POC, middle American stories on-screen, After Oil wouldn't be where it is now. We have many more announcements to come, so stay tuned!